When it comes to handling criticism, billionaire Dan Gilbert has a lot in common with President-elect Donald Trump: He blames the media. Gilbert’s latest temper tantrum was in response to a balanced story in Crain’s Detroit Business that questioned the real estate tycoon’s “dubious” claim that the cost to build a skyscraper in Detroit is the same as in Chicago and New York City – the priciest real estate markets in the country. Citing real estate experts, reputable Crain’s reporter Kirk Phino wrote that it’s actually a lot cheaper to build a Class A office building in Detroit. The distinction is important because Gilbert made the dubious claim while seeking tax incentives to build skyscrapers in downtown Detroit. “Like @kirkphinoCDB of @crainsdetroit & his twisted apples to oranges peculiar math,” Gilbert tweeted. Gilbert also attacked the Detroit News in July 2015 following an investigative report that showed his questionable mortgages contributed heavily to the blight of Detroit’s neighborhoods. 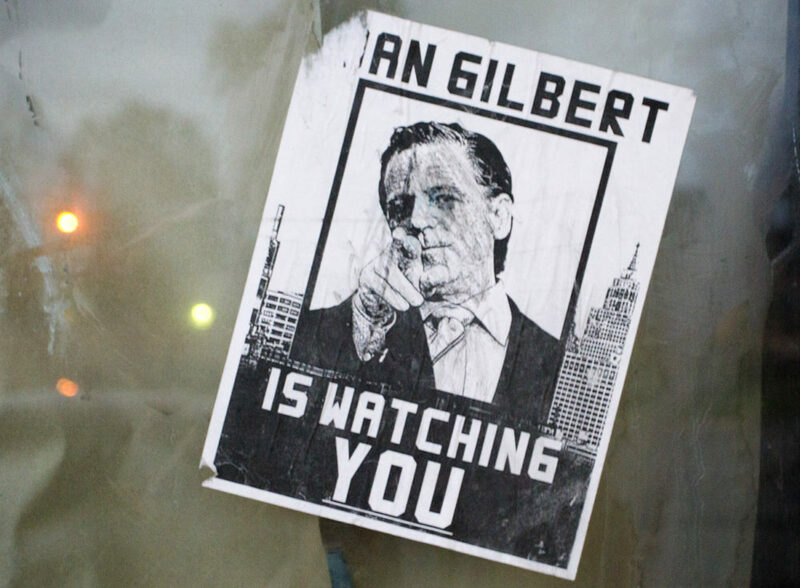 In April 2015, Gilbert called Motor City Muckraker a “dirty scum” for reporting that his real estate team was erecting cameras and a transmitter without permission on buildings that didn’t belong to him. Gilbert also directed his ire at Eric Lacy, a former MLive reporter who often covered entertainment in metro Detroit. Gilbert apparently didn’t think it was very manly of Lacy, who was celebrating his birthday, to tweet about Bruce Jenner, a former gold medalist who revealed that she is transgender. Gilbert has blocked reporters from his Twitter account. His criticism of the local media is odd since most of the coverage of him is overly positive and often lacks balance.